Some of your personal information is probably available to anyone with internet access if you are a regular computer user. This information provides some benefits such as customizing your experience on a website each time you visit it, but it also makes you more vulnerable to identity theft. The nature of social networks requires you to provide a good deal of information about yourself to use them effectively. The major social networking sites include Facebook, Instagram, LinkedIn and Twitter, although there are also many others. Shopping sites such as Amazon also need your personal information to facilitate and customize your shopping experience. You may need to search for the specific procedure on a particular website if you have difficulty finding such a link. If all else fails, you can always change your account information to random data. 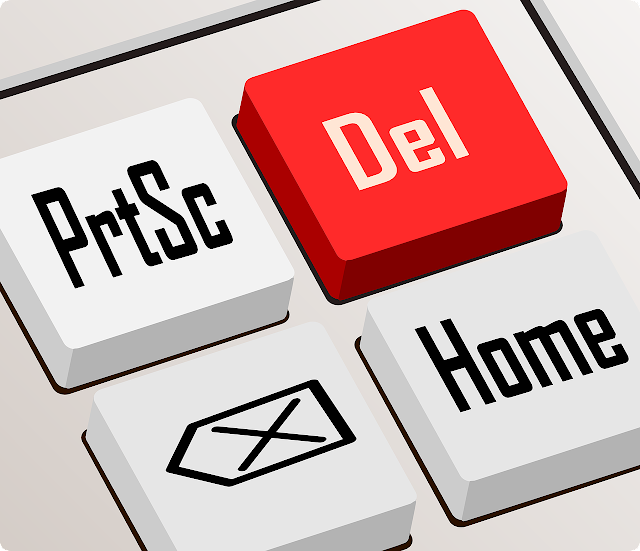 A service like DeleteMe can also help you remove your accounts on social networking and shopping sites. A one-year subscription to DeleteMe currently costs about $130. Businesses such as cell phone providers will usually remove your information from their commercial website with relatively little effort since they’re often legally required to do so. Check the website, and ask the company to remove your listing if there is one. You may also need to remove information such as an embarrassing post from a private website. This process can be more difficult since the webmasters of private websites are generally under no legal obligation to remove your information. The About Us or Contacts pages will usually contain the contact details for the website’s operator, but you can also obtain this information from www.whois.com. Be polite and clearly state the reason you want your information removed. Data brokers such as PeopleFinder, Spokeo, and Whitepages.com collect data on your online behavior. They can then sell this information to interested parties, generally for the purpose marketing their products and services to you. It’s possible to opt out of each site individually, although this process is different for each site. Some data brokers even require you to submit actual paperwork before removing your information. DeleteMe can perform these steps for you and check the sites every few months to ensure your name hasn't been added to their list again. Search engines typically cache web pages at regular intervals, so pages that are no longer active may still be available. This means that you can remove your personal information from the active page, but a web search may show a cached version of that page that still contains your information. Search engines such as Google and Bing offer instructions for removing cached pages from their search results, although they both require you to provide the reasons for your request. Personal information such as a bank account number or social security number is particularly sensitive and may require additional steps to remove. If a webmaster won’t remove this information voluntarily, it may be necessary to file a legal request to search engines like Google. This process requires time and may not be successful, but it may be your only recourse in this situation. The specific process for closing an email account depends on the provider. You’ll generally need to sign on to your account and locate the option for closing it. This process may require some time to complete since many providers wait for a certain period they actually close your account. The primary purpose of this waiting period is usually to allow you to change your mind. This step should be performed last since the previous steps typically require an email address.